It is amazing how this plain white room became so soft and relaxing with a splash of light blue. 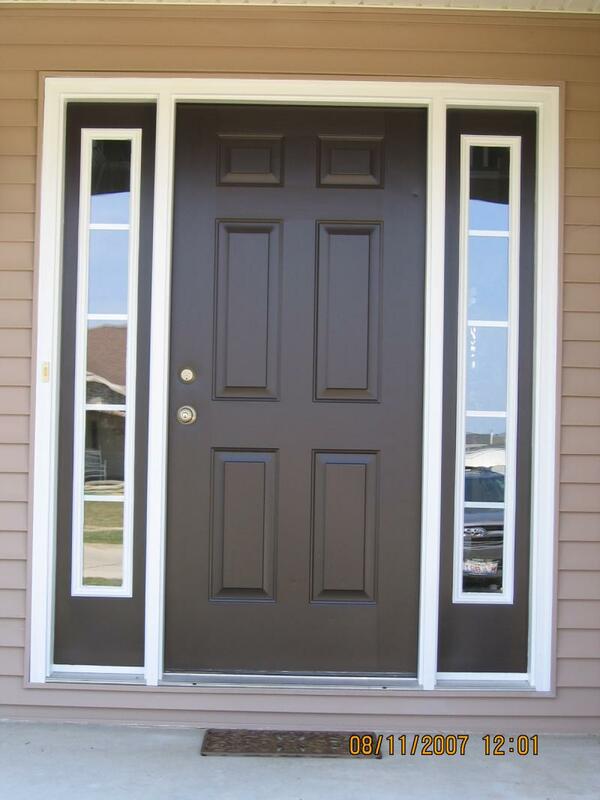 This door became such a warm welcome point to visitors by changing the color to this brown from a drab white. Our client loved the rich brown colors, but thought it would be too overwelming with their dark furniture. 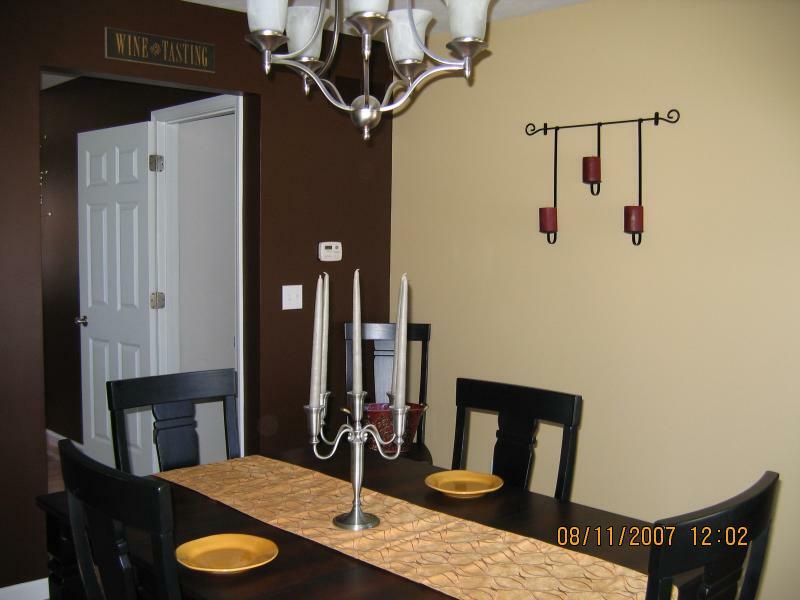 So, one wall was painted rich brown as a highlight wall, while the other three walls were painted a beautiful neutral tone. 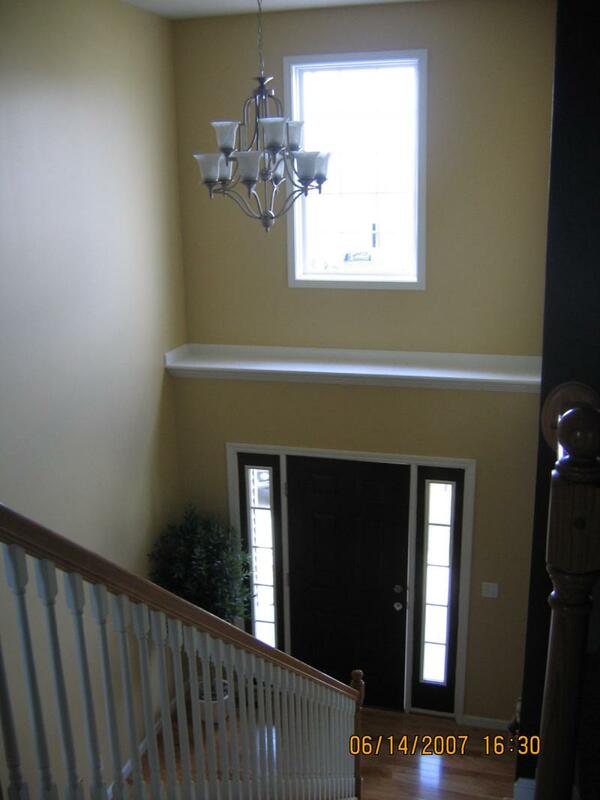 This high ceiling was not a problem for All Bright Painting. 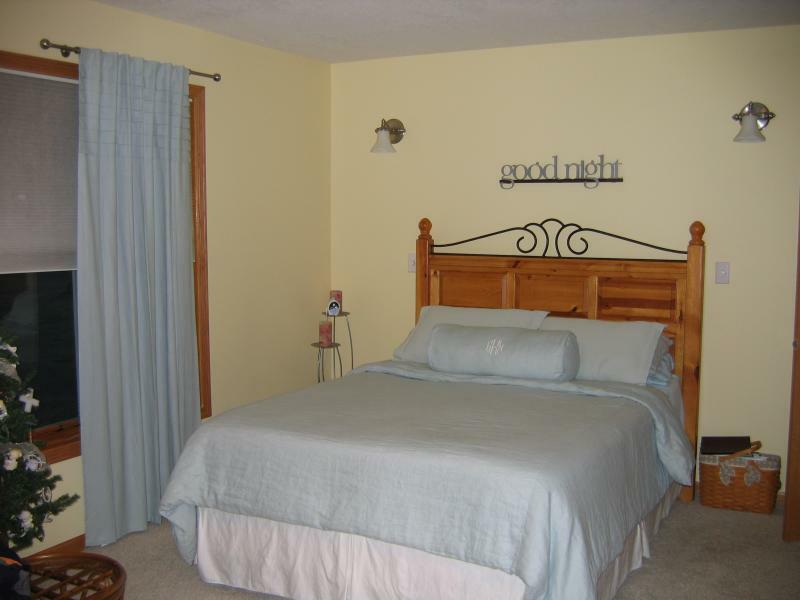 This small bedroom was too plain for the owner. 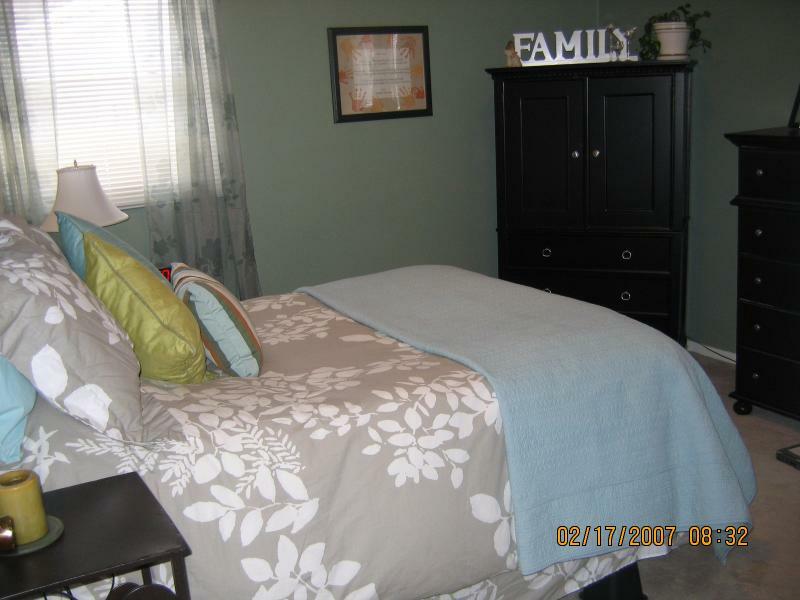 The sage green brought her furniture "out" so the color now looks rich rather than bland. We painted both, the cabinets and the walls in this kitchen. 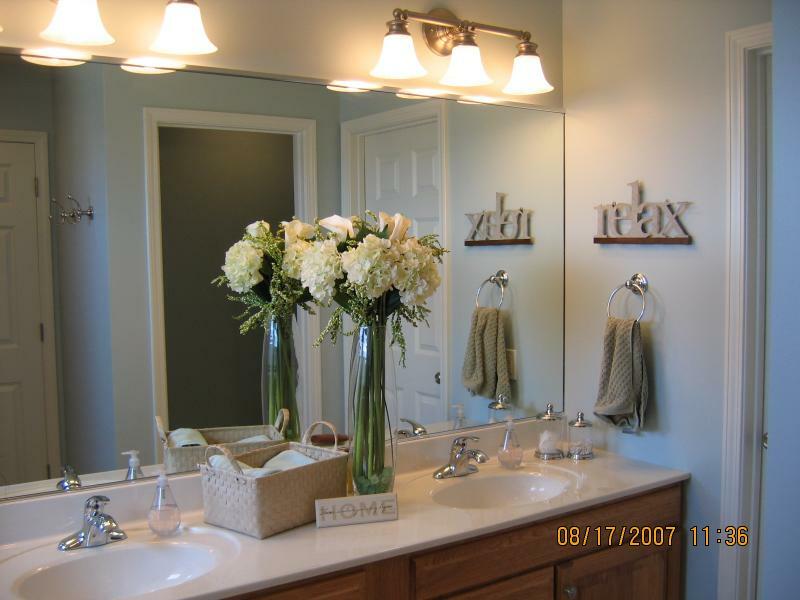 The original color of the cabinets were a wood finish that were in poor condition. The walls were a deep orange. 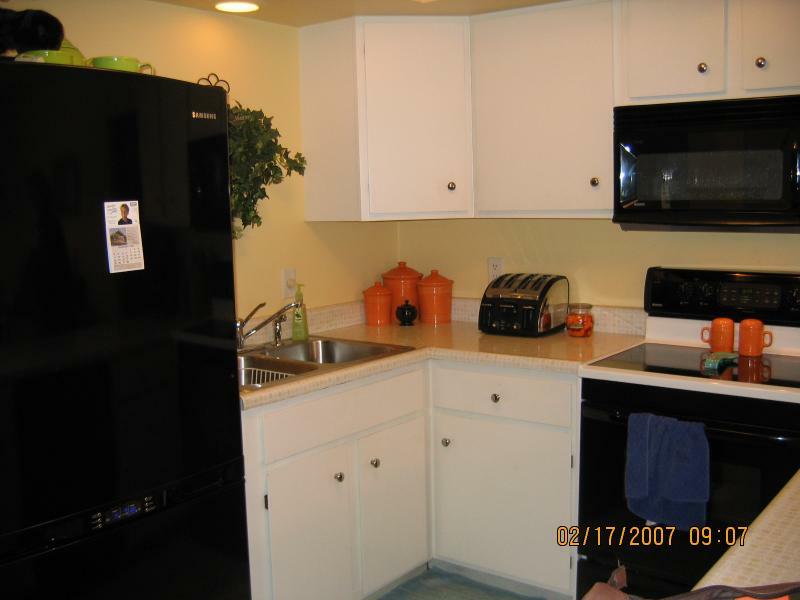 Now the cabinets are brillant white which added a modern look to what started out as a very dated kitchen. 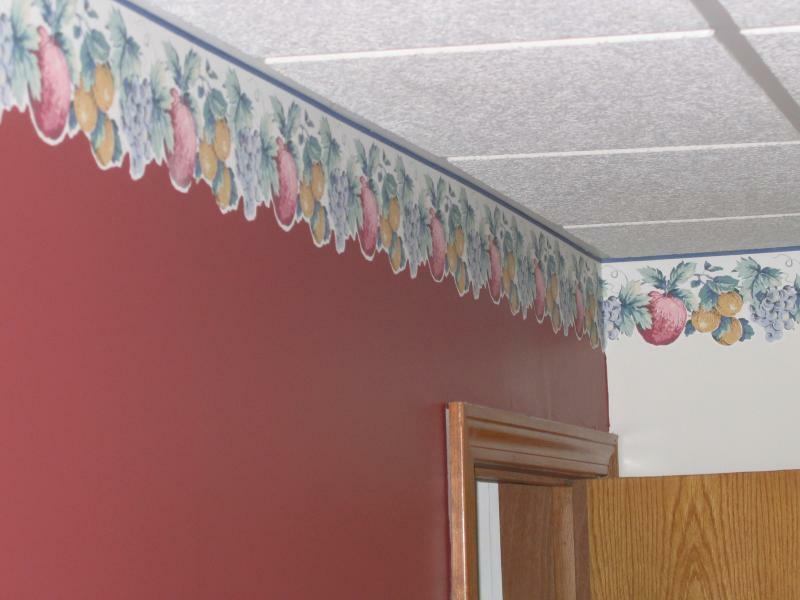 Only a skilled hand can create this type of detailed quality.The border remained on the wall before and after the wall was painted. 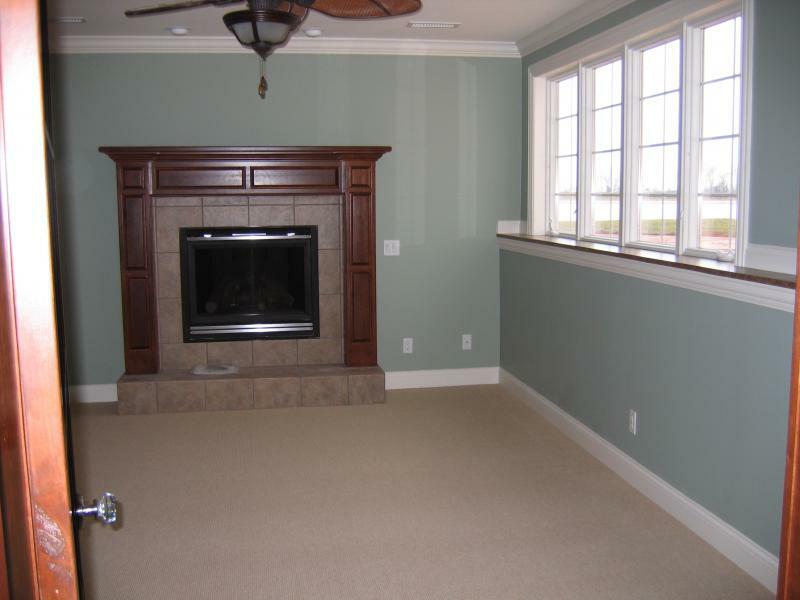 The wood trim, fireplace mantel and beautiful walls were all completed by our company. Again, we complete the entire package. 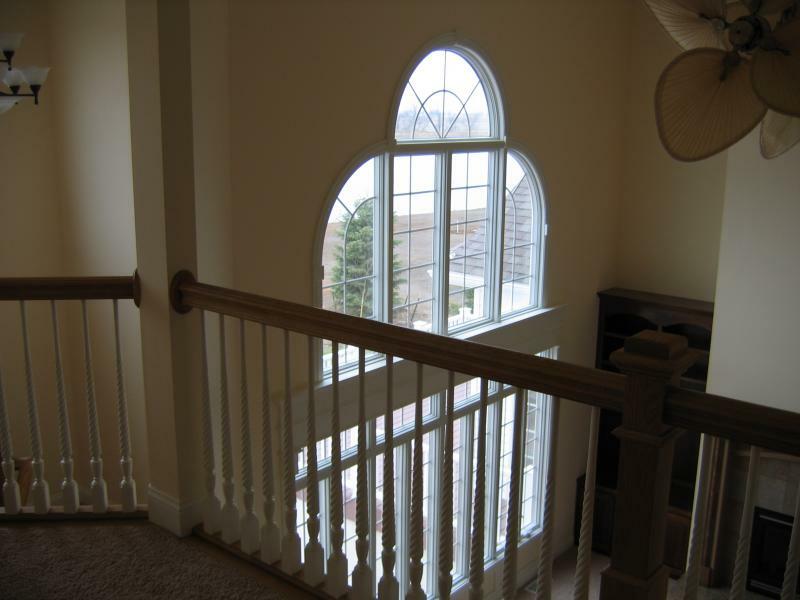 The wood work, stair case wood work and spindles were skillfully done by All Bright Painting. 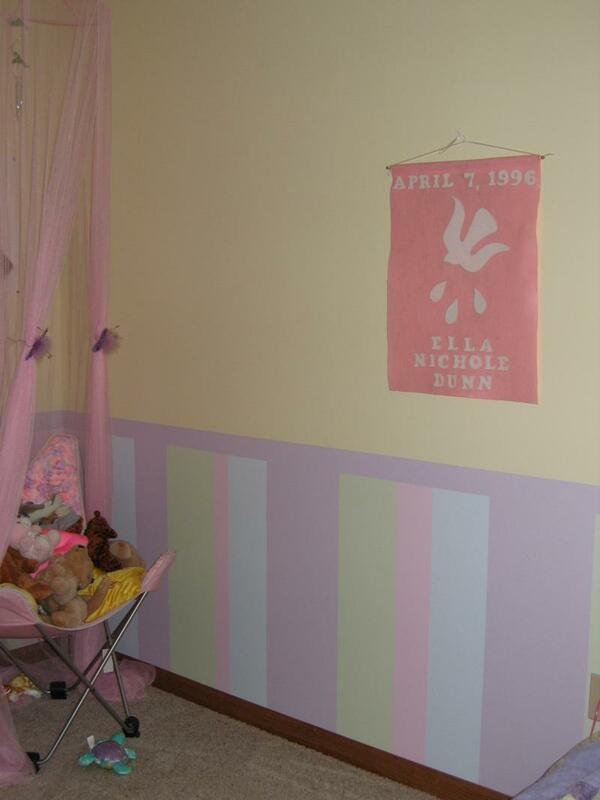 This owner wanted a variety of pastel colors in an non-uniformed striped pattern for her daughter's room. 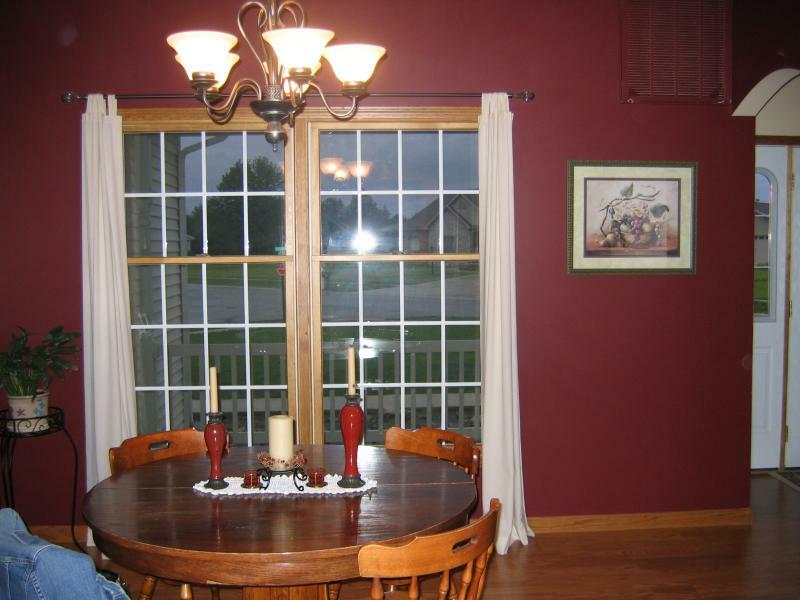 Deep reds have become a very popular choice for many home owners. It is a beautiful color with any type of wood work. A client's daughter found this picture in a popular home furnishing magazine for kids. No problem...to our client's delight, we did it. Pink Lover! Try two colors of pink. It turned out beautiful with the oak trim & white furniture. 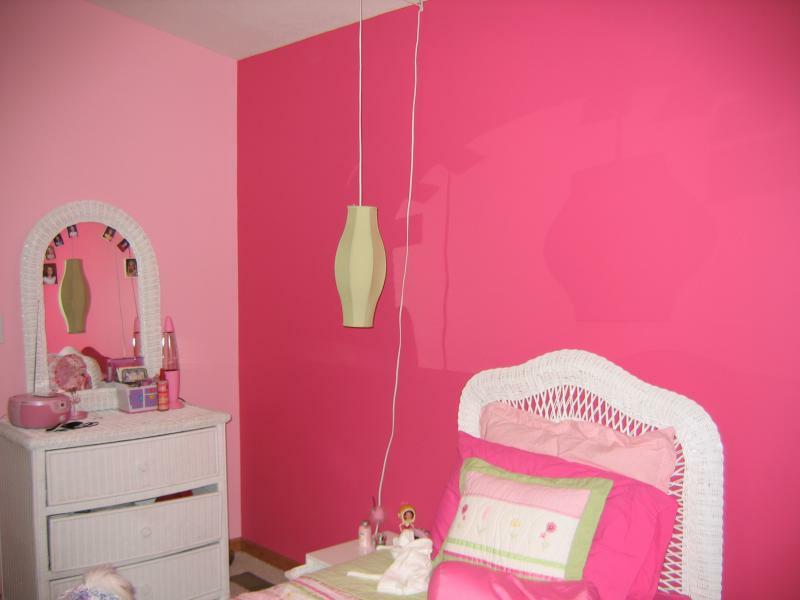 This client was very apprehensive about painting her bedroom yellow. 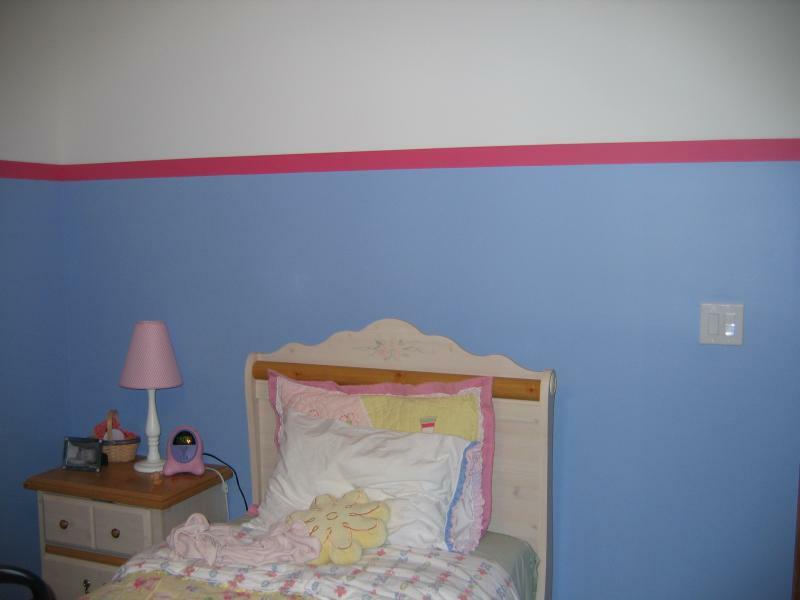 All Bright Painting helped her to find the perfect shade of yellow to place on her walls. 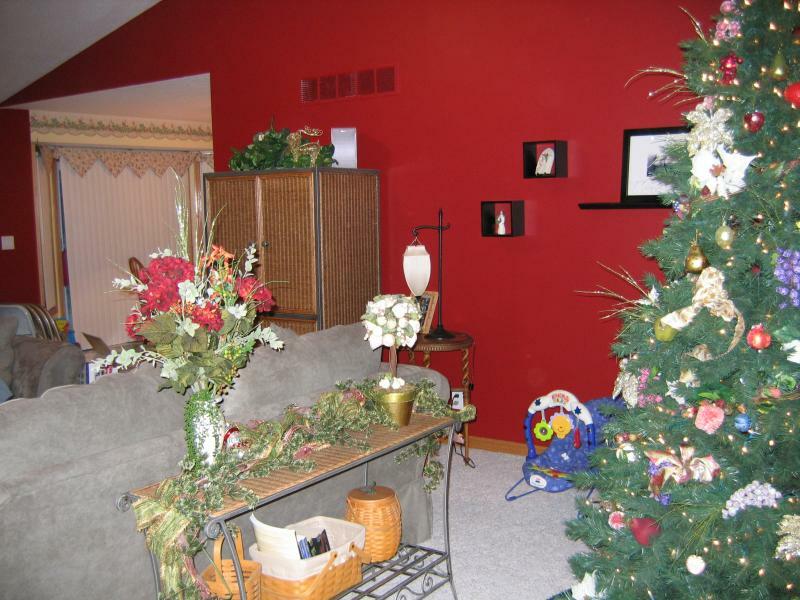 The Christmas decorations stood out so wonderful against this red wall. It was a great head turner in the Christmas Walk last year. 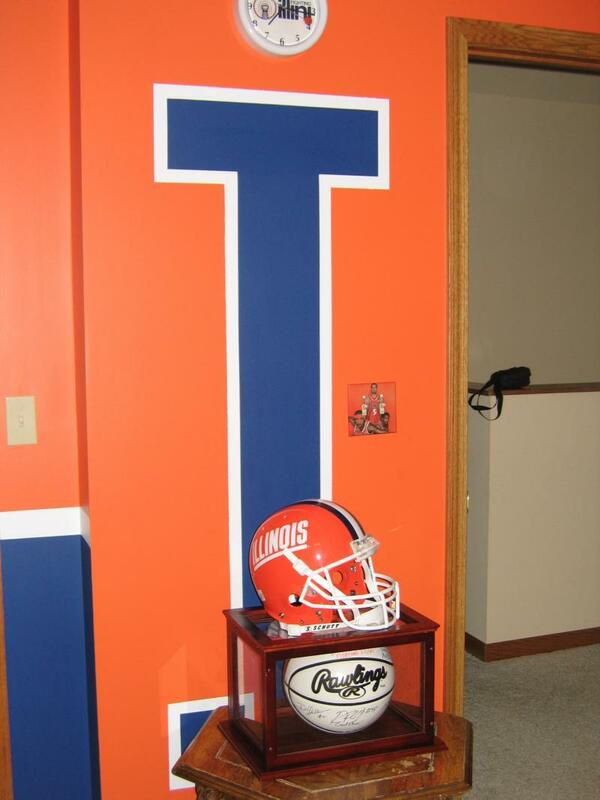 All Bright Painting is known for it's "Illini Room". These are the actual colors that are used on the Assembly Hall Floor! Men of all ages love having a favorite team displayed in their room, den or even garage. This house started out white with an unfinished deck. 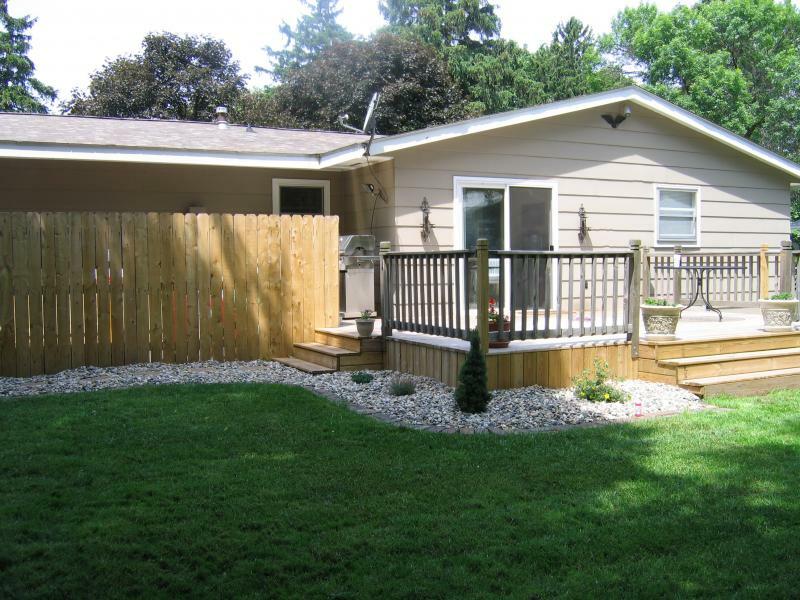 The light stain that All Bright Painting applied to the deck, in combination with the warm color applied to the house gave it a great curbside appeal.